A mile down trail I got a different view. 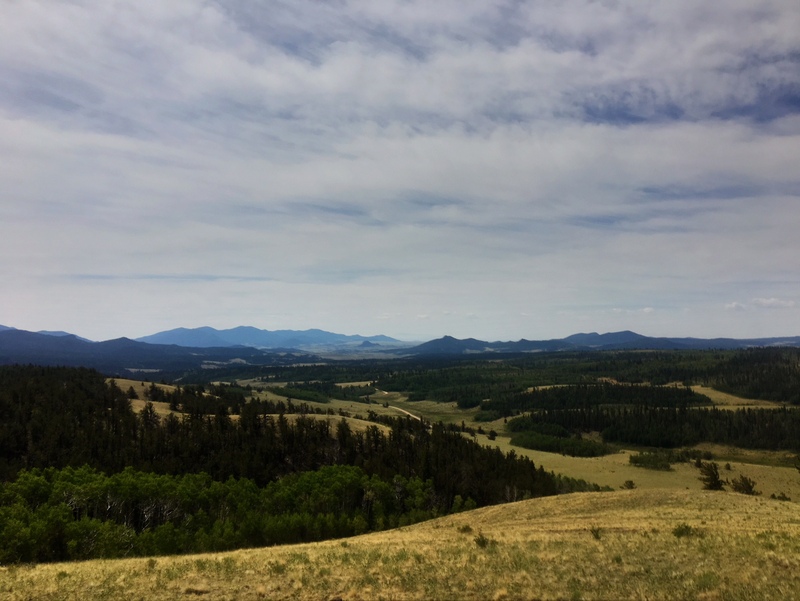 Plus, I had good phone reception to upload the last two blog posts. 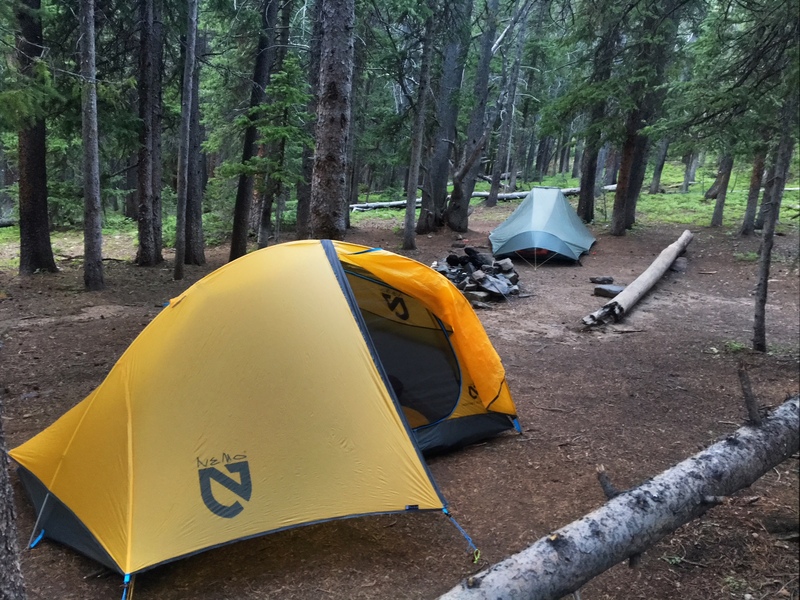 One odd part to my morning was finding my trekking poles scattered about the campsite (they had been stashed next to my tent). 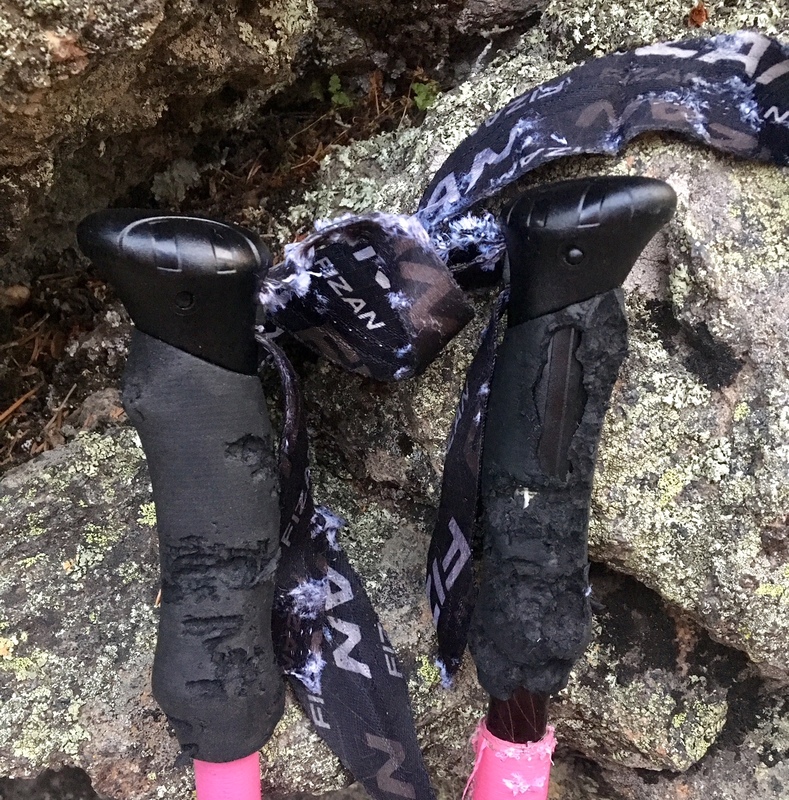 Looks like a deer found them and decided to gnaw off the straps and the foam grips (salty?). The straps are fairly important for how I use the poles. Luckily, I’ll be arriving in Frisco tomorrow and I have an extra pair stashed in my garage. 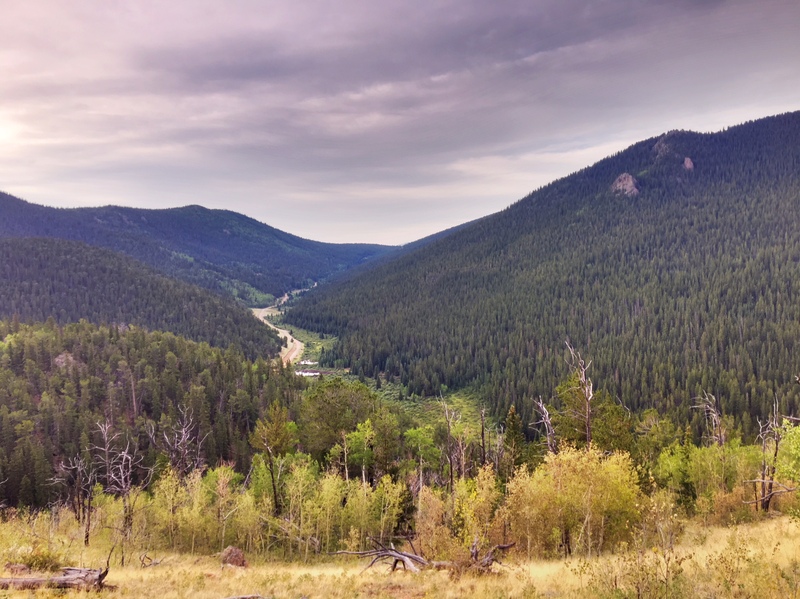 Saying goodbye to the Lost Creek Wilderness. 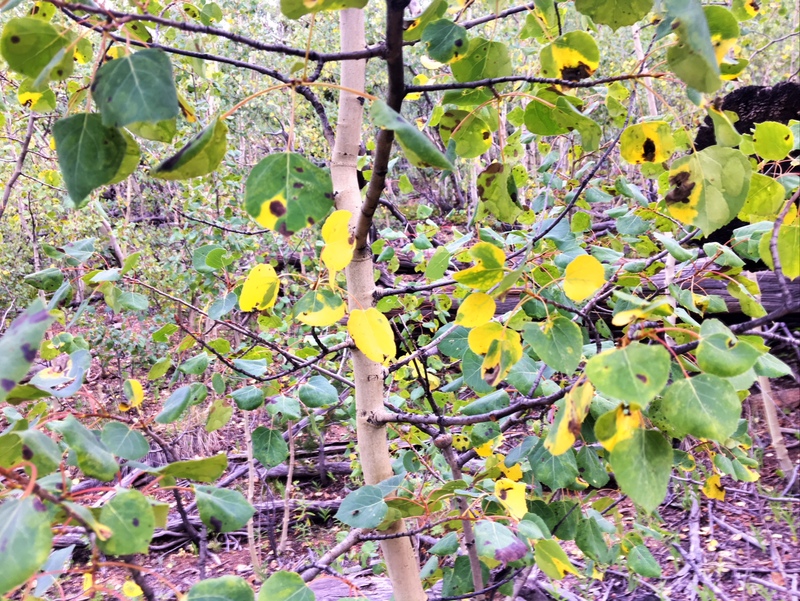 I couldn’t figure out why some of these aspen leaves were changing colors about 6 weeks earlier than normal. Greats views into South Park. 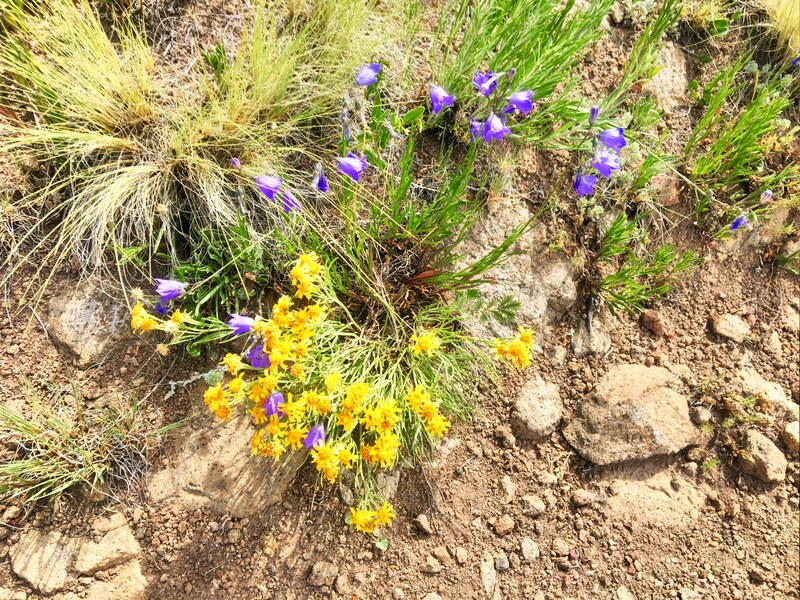 The wildflowers have been making an appearance now that the trail is above 10,000’. 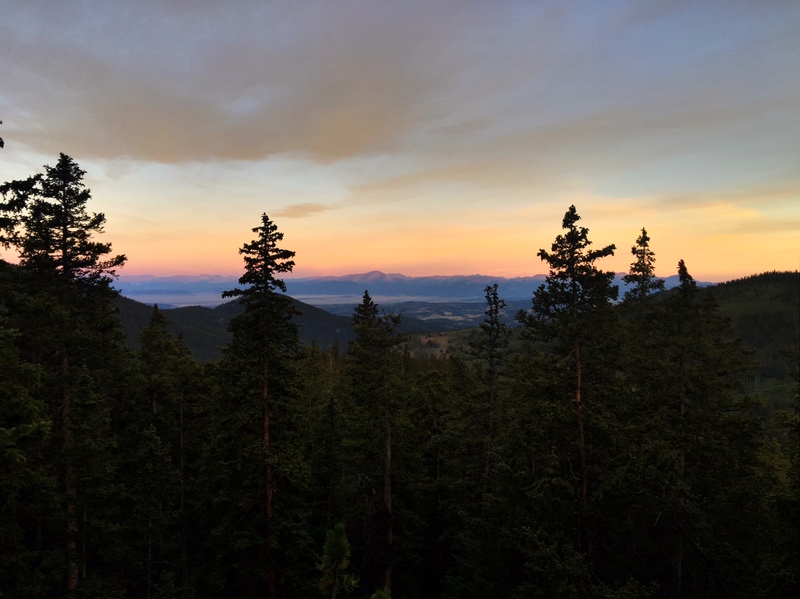 Some snow covered peaks on the horizon that the trail crests tomorrow. Even with 26 miles on the day I had time to hitch 5mi down the highway to the nothing town of Jefferson to get some fries and a milkshake. Can’t believe I forgot to take a pic! 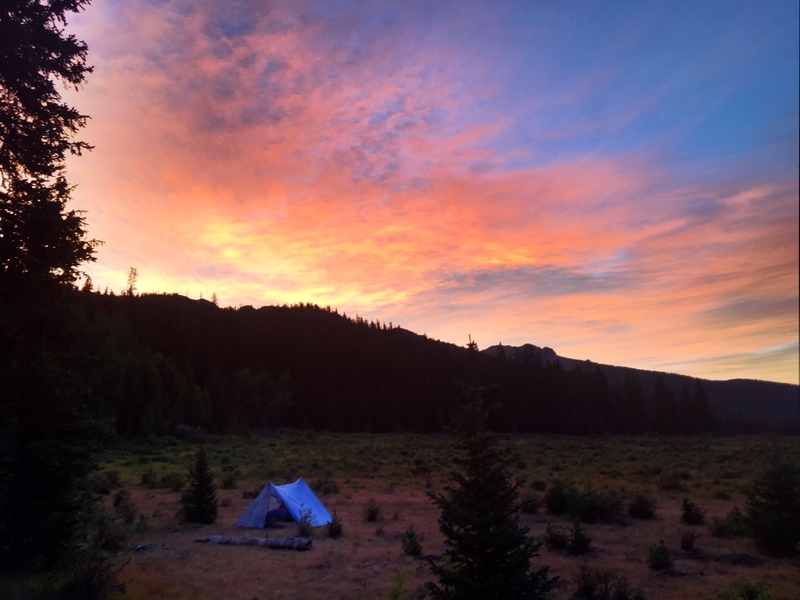 This entry was posted in 2017 Pacific Crest Trail. Bookmark the permalink.